It's always a sad time when an iconic figure from your life passes on. The Brain is an icon of the showmanship of professional wrestling. He was an amazing personality and performer, and he influenced so many people both within the ring and outside of it. Without question one of the funniest men to ever be in wrestling, and an outstanding announcer and manager. The list of wrestlers the Brain managed is crazy! It's near endless. I haven't watched the WWE in years, and that's largely because larger than life characters like the Brain aren't really a factor anymore. 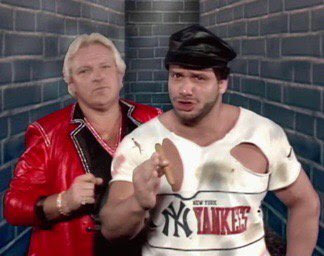 A great deal of the magic is gone for me, but when I see old videos of the Brain and the Heenan Family, I get sucked right back in again.